Numerous ibidi products are made for 3D applications. 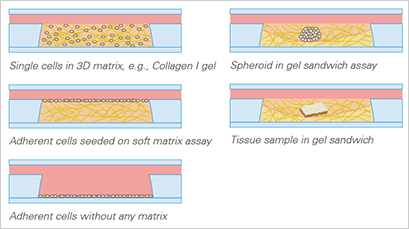 Examples of 3D matrices are, collagen type I gels, fibrin gels, MatriGel TM*, or synthetic hydrogels. 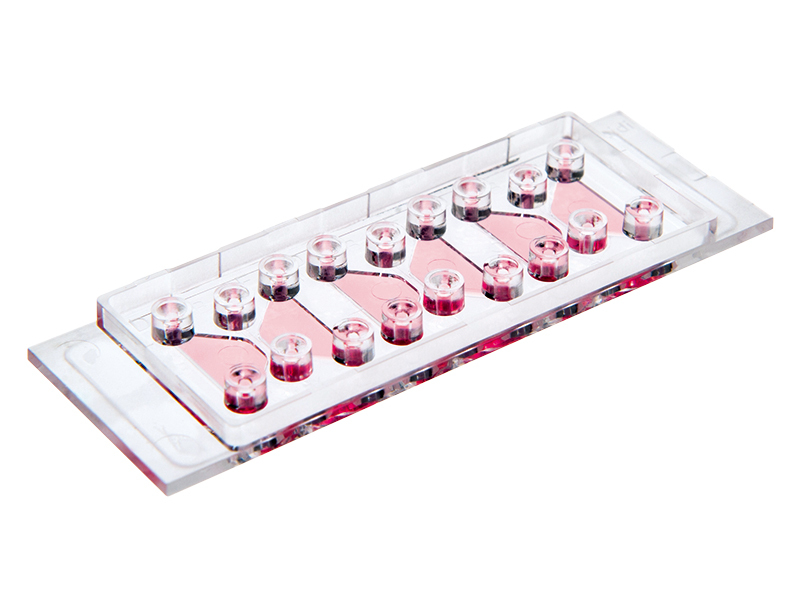 In 3D assays, cells are brought inside, or on top of, an in vivo-like gel matrix. As with all ibidi μ-Slides, cells are being analyzed using fluorescence microscopy, in most cases. 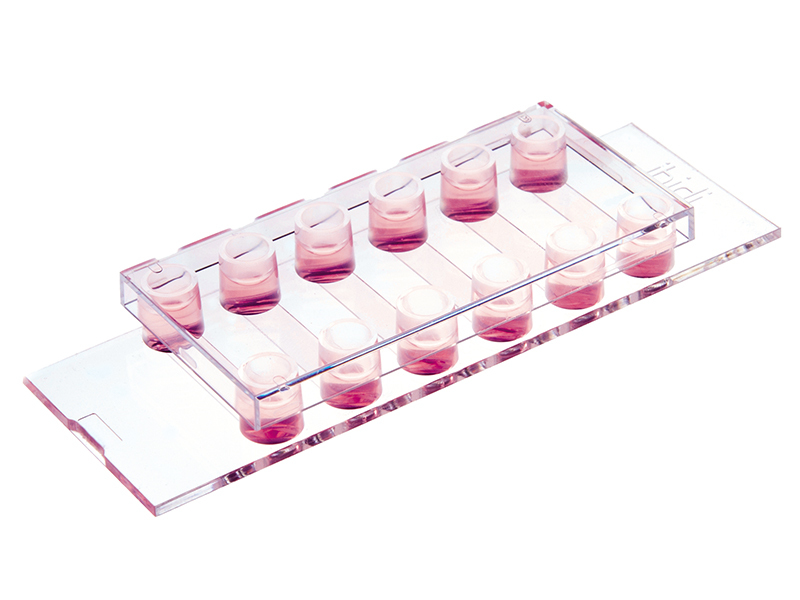 For a very simple culture of cells embedded in a 3D gel matrix, the µ-Slide Angiogenesis and the µ-Slide III 3D Perfusion are recommended. 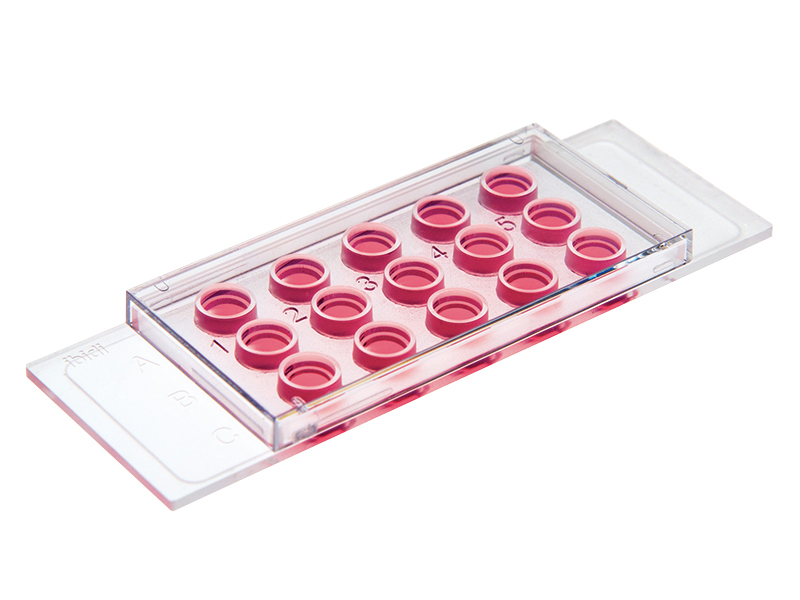 In both products, cells can be cultivated in or on a gel layer. Oxygen, the growth medium, or treatments can be delivered and exchanged via the liquid over the gel layer. In the µ-Slide III 3D Perfusion, this liquid can be renewed permanently with a constant flow that enables cell survival for many weeks. 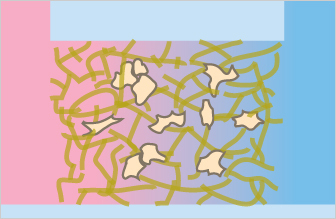 For migration and chemotaxis experiments, cells are cultivated in a 3D matrix with a chemical gradient for chemotaxis. 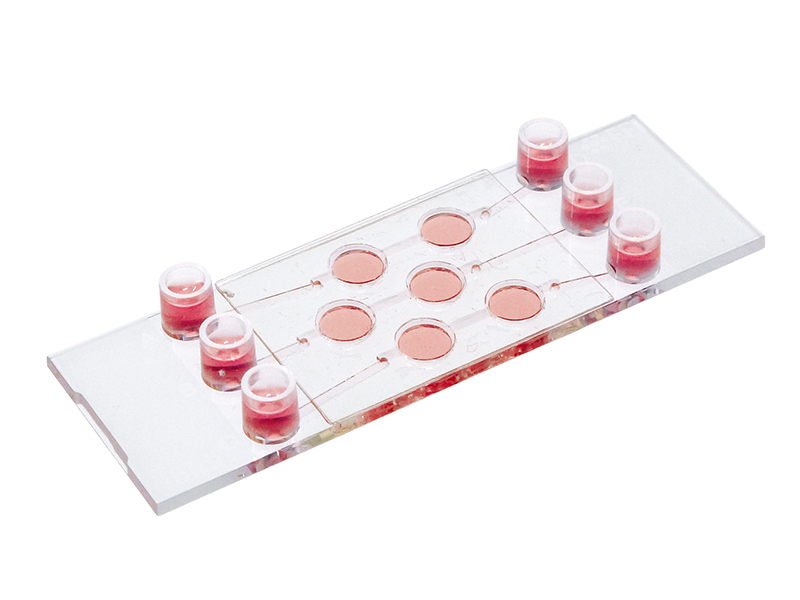 This is a typical application for lymphocytes, neutrophils, and T-cells, but also for slow migrating cells like fibroblasts, tumor cells, and stem cells. 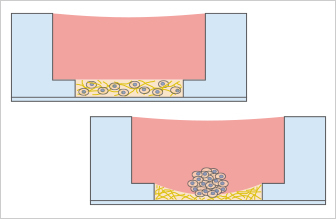 When utilizing the well-in-a-well feature of the ibidi µ-Slide Angiogenesis, a cell spheroid (or micro tumor) is cultivated on top of, or embedded in, a 3D matrix for long-term cultivation. With the upper well filled with growth medium, nutrients are provided by means of diffusion. In our µ-Slide III 3D Perfusion, a spheroid (or micro tumor) can be embedded in a gel matrix, like a Collagen Type I gel. The special channel geometry allows for superfusion with a low flow rate (e.g., utilizing the ibidi Pump System). This setup makes long-term cultivation possible for up to several weeks. 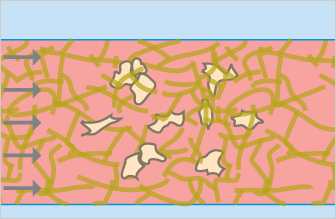 When applying an interstitial flow, we recommend cultivating cells in a 3D matrix in a channel slide. 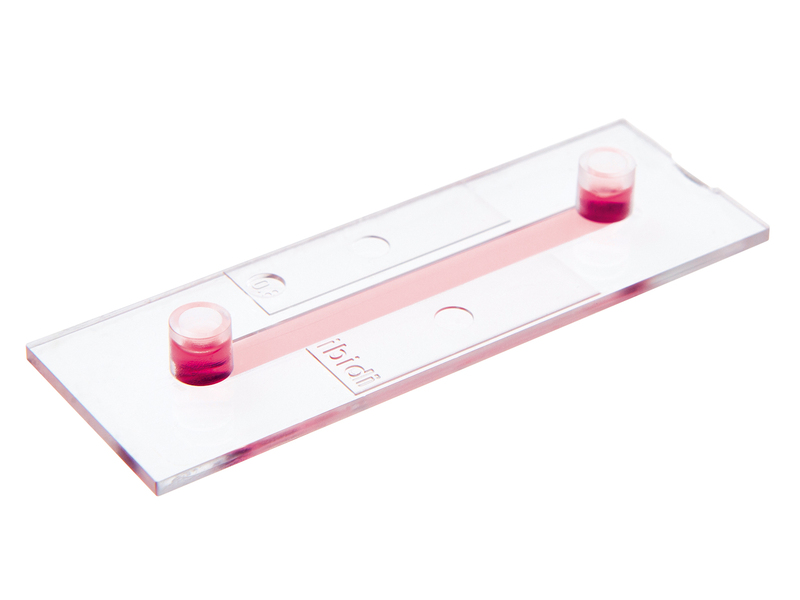 Interstitial flow in a channel is easily applied by using a soft perfusion with growth medium or reagents. Fabrication protocols for collagen I gel (bovine and rat tail) with different cell media. Generation of spheroids using the liquid overlay technique.